Once again the Arts Council of Big Sky is bringing an outstanding lineup of events to Big Sky. Their schedule of events for the 2016/2017 winter season is now featured on their website, BigSkyArts.org. Get a sneak peak at what's happening in Big Sky below. The Arts Council has organized a handful of events that you're going to need to add to your calendar. Buy your tickets now before these cultural events in Big Sky are sold out. December 4, 2016 - Montana Ballet's "The Nutcracker" @ WMPAC - The Montana Ballet Company's "The Nutcracker" will be presented at the Warren Miller Performing Arts Center on Sunday, December 4, 2016 at 4 PM. Tickets cost $35/$25/$15. This ballet is set to Tchaikovsky's music and it is "one of the largest artistic collaborations in the region." Come and enjoy a live chamber orchestra, local dancers, and an all-around outstanding performance. 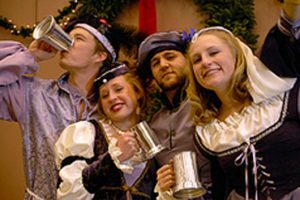 December 5, 2016 - Madrigal Dinner @ Buck's T-4 Lodge - The 20th annual Madrigal Dinner in Big Sky will take place on Monday, December 5, 2016 at 5 PM in the Montana Room at Buck's T-4. Kick off the holiday season with a 3-course dinner and festive Olde English music performed by the Montana State University Montanans, the MSU Brass Quintet and the MSU Chorale. Tickets cost $55 and this event usually sells out. January 9, 2017 - Kegs Of Counterpoint: Concoctions From The German Baroque @ Big Sky Chapel - Kegs Of Counterpoint: Concoctions From The German Baroque is a free event that is open to the public. It takes place at the Big Sky Chapel on January 9, 2017 at 8 PM. Enjoy dinner at nearby Olive B's and then listen to Baroque Music Montana as they perform German Baroque music for your listening pleasure. 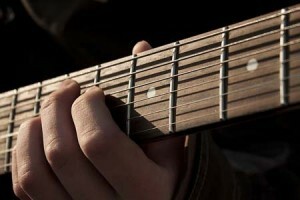 February 26, 2017 - International Guitar Night @ WMPAC - International Guitar Night is back in Big Sky for the second time. The event will take place at the Warren Miller Performing Arts Center on February 26, 2017 at 7:30 PM. Tickets cost $35/$25/$15. 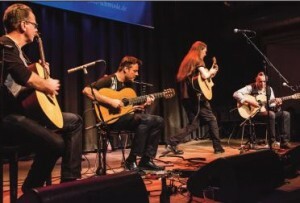 This year the event is hosted by gypsy jazz legend Lulo Reinhardt. He will be joined by a host other incredible guitarists from around the world. Each of the four musicians will perform a solo recital and then perform in groups. March 23, 2017 - Fifth Annual Auction For The Arts @ Moonlight Basin Lodge - The 5th Annual Auction for the Arts will take place at Moonlight Basin Lodge on March 23, 2017 at 5 PM. Tickets cost $75. This fund raising event will feature a quick-finish session, a live auction, and a silent auction. Enjoy tasty food and live music while showing your support for the Arts Council of Big Sky. The Arts Council of Big Sky plays a major role in the arts and music scene in Big Sky. As you can see they have an amazing lineup for the winter season, but they also are responsible for summer events like Music In The Mountains, Shakespeare In The Parks, MountainFilm in Big Sky, and other events that we all know and love. Don't miss any of the Arts Council's winter events. Buy your tickets ASAP! Looking for more things to do in Big Sky this winter? Check out the Visit Big Sky Blog to learn about all sorts of cool things to do in Big Sky.